New York State of Mind | Ghurka x Eleven Madison Park. | A Continuous Lean. New York State of Mind | Ghurka x Eleven Madison Park. One thing almost everyone I know can agree on is the fact that Eleven Madison Park is one of the best meals in NYC, if not the world. The fourteen year old restaurant recently underwent a bit of a reinvention under Chef Daniel Humm, transitioning to a unique set-up where the only option (lunch or dinner) is a New York centric four-hour tasting menu. The celebrated restaurant, which boasts a three star Michelin ranking and four stars from The New York Times, is on a mission to elevate an already great experience. This reinvention is a bold move that actually reminds me of what is happening currently at Ghurka. 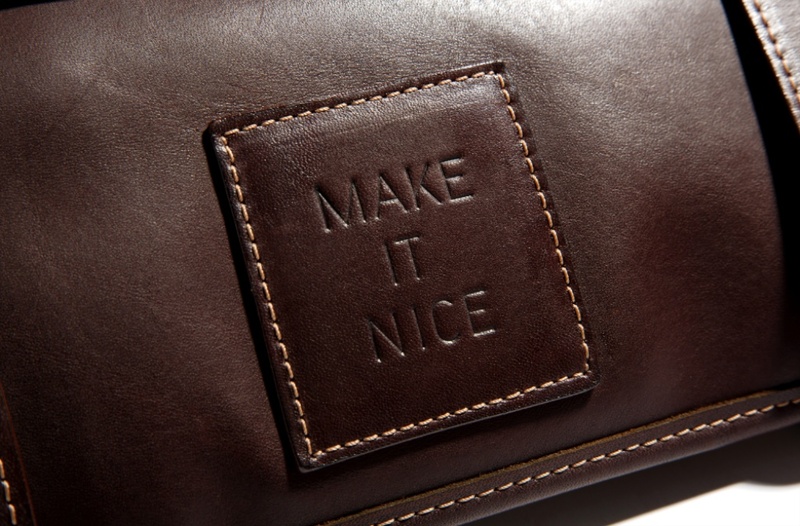 The American leather goods maker which has recently been reinvigorated by its new ownership group and these days everything I see emerge from Ghurka is both well thought out and equally refined, this collaboration being no exception. 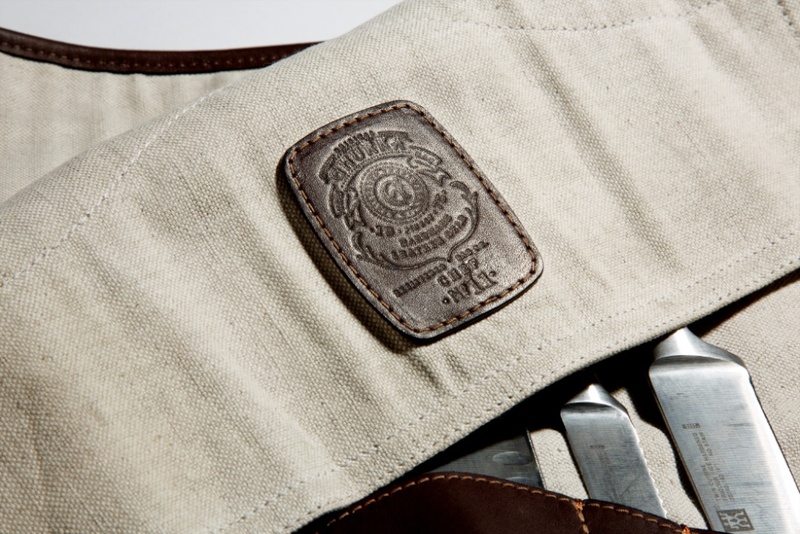 In keeping with the theme of “made in New York,” Eleven Madison Park tapped Ghurka to produce a handsome group of custom leather goods for the restaurant (coasters, menu covers, placemats, check presenters, table reserved signs). 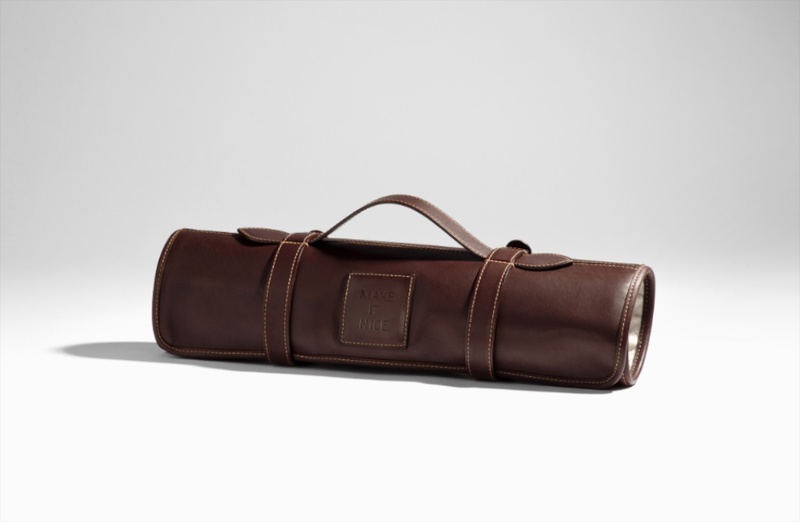 The New York based leather goods brand (which manufactures everything in its workshop in Connecticut) also worked with Chef Daniel Humm to create a leather and canvas knife roll which will be added to the Ghurka collection soon. In terms of partnerships I have seen over the years, this is one of the most interesting and unlikely that I have seen. It’s not a collaboration that I wouldn’t have predicted, but it is also one that seems to make perfect sense to me. All of this really illustrates how the locavore movement and the made in U.S.A. movement can dovetail so perfectly. It also goes to show how the little details can elevate an experience, and a brand. Just FYI, Danny Meyer no longer owns EMP. He sold it one or two years ago to Chef Daniel Humm and Will Guidara, the Manager. Truly amazing! Particularly the knife bag…. I don’t think Danny Meyer owns it anymore. Great feature Michael. Totally unexpected. Clever move on Ghurka’s part. Great brand with tons of potential. Perhaps worth noting its not actually a Danny Meyer property, with typical Meyer class he actually sold it to Humm and the front of house team. You guys are right about that â€” thanks. Post has been updated. I’ve been a ghurka fan for many many years. Been a problem finding their goods outside of the web, and in NY any more. I used to go to their store in Chicago, for the short time it was there, and Marshal Fields used to have a nice Ghurka boutique. Looking forward to new designs, as long as they don’t lower the quality, and move their manufacturing to China, like Coach did. I’ve carried a ghurka passport wallet for years, and it’s led me to believe in the wisdom of the “buy the best quality you can and take good care of it” ethos. Now, let’s see how long it takes for these items to walk out the door with “guests”. I have a Ghurka No.2 which is an old favorite. I was told that the new corporate owners of Ghurka had shifted production overseas. Not so? Or is this an even newer owner moving production back to the U.S.? I think everything Ghurka makes now is done in the U.S. â€” though I could be wrong. Kudos and great Ghurka feature. Inspiring work.